We've been thrilled to be sharing with you these BRAND NEW INTERVIEWS our host Jimmy Moore conducted recently with most of the 22 featured experts in his and Dr. Eric Westman's runaway new bestselling book Keto Clarity: Your Definitive Guide to the Benefits of a Low-Carb, High-Fat Diet. These half-hour chats with the best and brightest on the subject of low-carb, moderate protein, high-fat, ketogenic diets has given us all an insight into why this way of eating has worked so incredibly well at producing some spectacular health improvements for a wide variety of conditions. If you've read Keto Clarity and enjoyed all the "Moment Of Clarity" quotes in there, then take a listen to these interviews to get even more insights into why they are the bona fide experts on this topic! 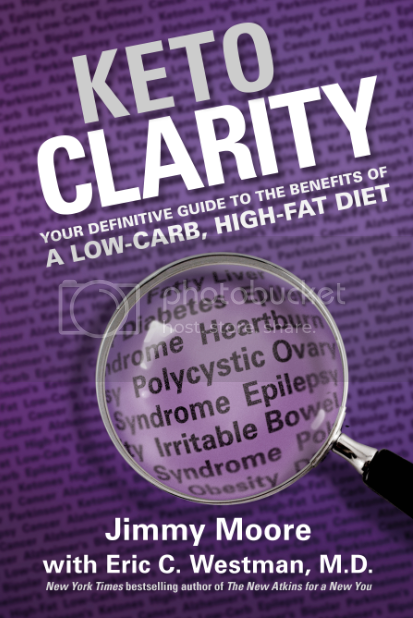 Today's Keto Clarity expert interview is with an RN who had the privilege to work with the late, great Dr. Robert C. Atkins in his complementary medicine practice in New York City for three decades named Jackie Eberstein from ControlCarb.com. She was the Director of Medical Education at The Atkins Center for Complementary Medicine office until Dr. Robert Atkins’ tragic death in 2003 where she educated physicians, physician assistants, nurse practitioners, and nutritionists on the principles and protocols of the Atkins Lifestyle and complementary medicine. Jackie contributed to a number of Dr. Atkins’ books, newsletters, and other media outlets and has continued to lecture, write, and consult on the low-carb Atkins diet philosophy both nationally and internationally. She is a regular attendee and lecturer on the annual Low-Carb Cruise because she is widely considered one of the world's foremost authorities on low-carb, high-fat, ketogenic diets. 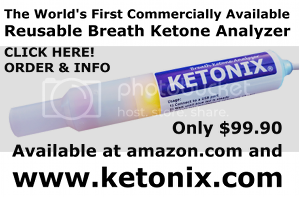 Listen in as Jimmy and Jackie share how ketosis was used in Dr. Atkins' clinic and how they were ahead of the times in using ketogenic diets for more than just weight loss. Keep listening because we've got more Keto Clarity expert interviews for you coming!